This picture is of three Mercedes Benz cars. The car on the far left, acquired by Ron Sturgeon in 1990, was made in France in the early 1950s. This beautiful 190 Mercedes pedal car was restored. The French manufacturer is unknown to us. 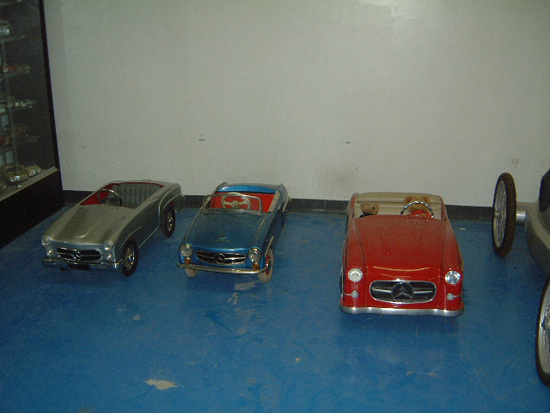 The blue Mercedes Benz 190SL pedal car in the middle was made by Ferbedo and is in excellent, original condition. A very rare pedal car. The red Mercedes Benz 190SL on the far right is a German-made carousel car. Restored in 1994 by John Hadduck, Sr., it is mostly made from wood. 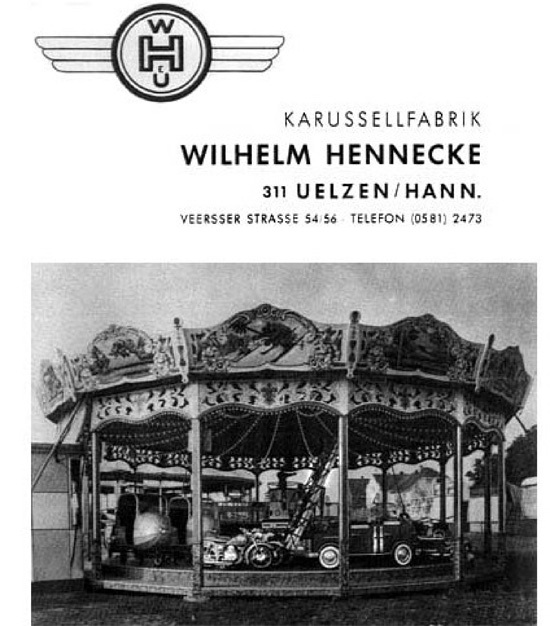 Early brochure/catalog from the manufacturer of carousels, with the Mercedes 300SL pictured, as now restored in the DFW Elite Toy Museum.